Sometimes it’s nice to send a card for no particular reason. It’s not their birthday, their anniversary or a significant milestone. You’re just thinking of someone and you send them a card. Happy Mail Day for them!! Of course this card could also be used as a sympathy card as well. Such a versatile greeting! Sponging adds a lot! 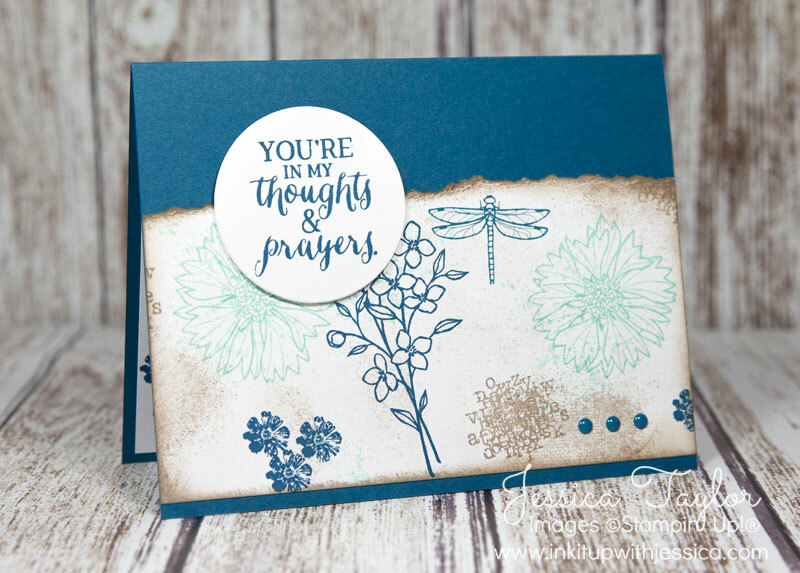 Stamping Sponges are one of the most inexpensive ways to add interest and depth to your cards. I cut my sponges into 6-8 wedges and use each wedge with a different color ink. That makes a pack of 3 sponges go a long way!! On this card I tore the top edge of my stamped piece of paper and then sponged Tip Top Taupe ink all around the edges. Then I gently dabbed ink all over the paper to soften the white a bit. I love how it turned out! Enamel Shapes are my new favorite thing. They come in a variety of colors and are flat enough that you can mail your cards with no issues. Yay! 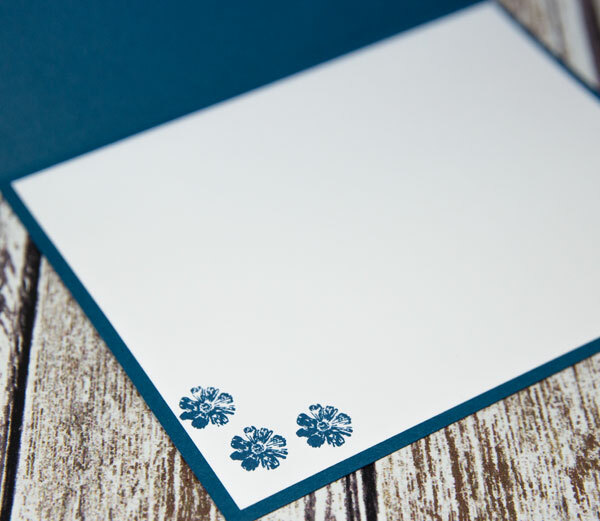 TIP: Use the end of your Paper Snips to pick up enamel shapes and add them to your card. When you have them in place just press them down with your finger. On the inside… Okay it’s nothing fancy, but when I use dark card stock as my card base I like to put a white insert in to write on. Of course you have to decorate it up a little. 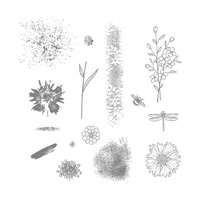 For this one I just stamped 3 small flowers in the lower corner so that I would have plenty of space left to write. I started this card by stamping an all over background on an 8-1/2″ x 11″ piece of Whisper White card stock and then cut it up according to the August 2016 One Sheet Wonder Card Club template. I ended up making 7 cards out of that one sheet of paper! 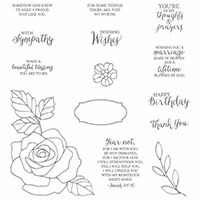 The great thing about one sheet wonder templates is that you can use them with any stamps and supplies you already have. If you’re looking for a little stamping inspiration and you want to make MORE cards FAST… Join the club!